Here is the list of the hotels near Latouille-Lentillac. Book your hotel near Latouille-Lentillac today, Monday 13 May for the best price, reservation and cancellation free of charge thanks to our partner Booking.com, leader in on-line hotels reservation. Below here is the list the 50 closest hotels of Latouille-Lentillac, sortable according your criteria. You will find the position of these accommodations on the Latouille-Lentillac hotels map. House La maison d'angéline is set in Calviac. The accommodation is 38 km from Aurillac. The holiday home comes with a TV. The accommodation is fitted with a kitchen with a dishwasher and fridge. 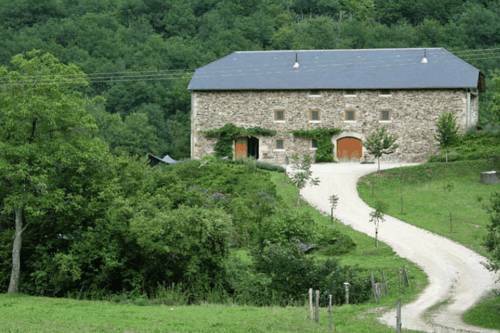 Figeac is 48 km from the holiday home, while Gramat is 44 km from the property. Aéroport d'Aurillac Airport is 41 km away. Below here is the hotels map of Latouille-Lentillac. Names and details of Latouille-Lentillac hotels can be shown on the map clicking on the prices icons.